Communicate clearly & powerfully by dressing in your colors! Your personal color palette is a reflection of your unique coloring. As you understand what colors work for you, you present your authenticity in confident ways. With this powerful asset you can choose to present yourself as persuasive, approachable, supportive, nurturing, or passionate, simply by dressing in your related colors. For example, when you wear your “power” color, you emanate strength and competency, and people will want to pay attention to what you have to say. I will match your skin tone, eye color and hair color. I’ll also give you “your version of red” along with your neutrals, which you can use as a foundation for your wardrobe. You will be given colors for formal wear, casual, business, and play. Along with your colors, I will go over the metals (jewelry, belts, handbag accessories, etc) that best harmonize with you. As a jewelry designer, I can suggest jewelry that has the correct proportion, color, shape, texture, and visual weight to compliment your features. I’ll also decode the mystery of prints so you can easily choose them according to your body shape, coloring, and features. 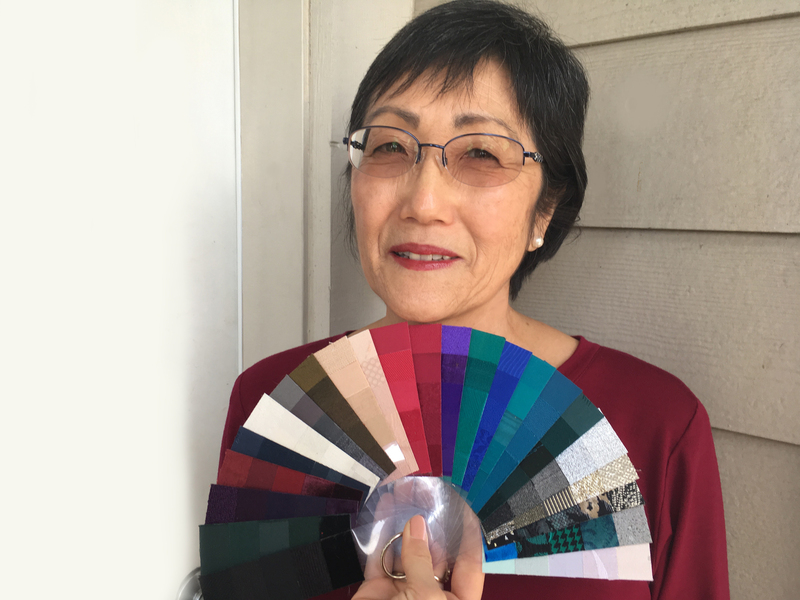 With your color analysis, you will receive your personal color fan and a reference guide that tells you how to use your colors. When we choose colors, shapes, and textures which mirror our own, we harmonize with ourselves and enhance our natural beauty!